A Colombian mother came to Harris County, Texas during her third trimester of pregnancy. Her baby was born with Zika-linked microcephaly, a congenital birth defect where the head and brain are only partially developed. If just 100 of these babies are born in the state, it would cost taxpayers over a billion dollars during the lifetimes of the children. The cost for the 400 pregnant women who have tested positive for Zika in the U.S. to date, would total almost $4 billion. The disease is prevalent in Central American countries, as reported by Breitbart Texas. The Centers for Disease Control and Prevention (CDC) has issued a travel advisory warning pregnant women to not travel to Latin and Central America – areas that have been hit hard by the disease. On July 15, Breitbart Texas reported about the birth of a child in the state with the condition, the first in Texas. The condition prevents a baby’s brain and head from fully developing. 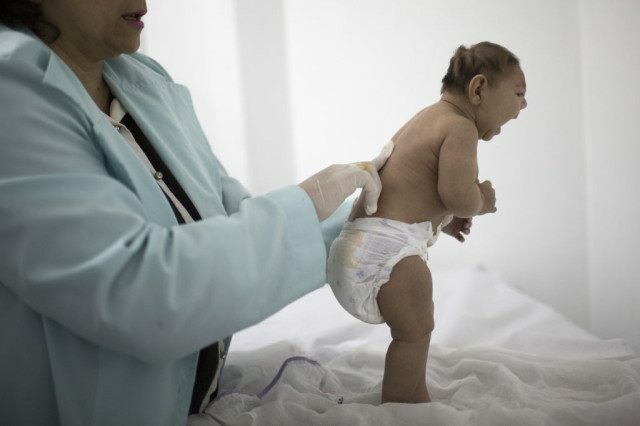 The director of the CDC, Dr. Tom Frieden stated in April at the Zika Summit press conference that “a single child with birth defects can usually cost $10 million dollars to care for or more.” That figure seems to be a baseline, but using that number and multiplying it by a hundred infants born with Zika-related problems, is astronomical. Breitbart Texas spoke with Dr. David Lakey, M.D., Chief Medical Officer at the University of Texas System. He noted that the price tag for taking care of 100 people with these types of intellectual problems and disabilities would be a billion dollars. If one of these children were placed in a state-supported living center (in past referred to as a “state school”), the current price per month is $15,000. If the child was placed in community-based services, a residential home with several others who have IDD (Intellectual Development Disability), the price is now $3,500 a month. “If you go out 60 years,” he said, the costs for each person is $2.5 to over $10 million. The costs of institutional and community care in Texas is staggering. A 2014 budget report from the Texas Department of Aging and Disability Services shows that the costs to taxpayers of those in institutional facilities is $957,962,929 for the 9,168 placed there. The cost for the 37,372 individuals in community based services is $1,195,739,308. The combined cost totals $2,153,702,237 to taxpayers for just these programs. According to the CDC, as of July 14, 400 pregnant women in the U.S. have tested positive for Zika. Another 378 have tested positive in U.S. territories. So far, 12 babies were born exhibiting Zika-related birth defects. Six miscarriages and stillbirths have been reported in the U.S. and one in U.S. territories. Breitbart Texas reported that the number of pregnant women in the U.S. infected was 320 and nine infants had been born with Zika-related birth defects. Texas has had 69 cases reported as of July 21. Most of cases were travelers who were infected when out of the country. Three of these were pregnant women. One of those infected had sexual contact with a traveler. Health officials in Texas have tested pregnant women in Dallas and Houston who had Zika symptoms. Breitbart Texas’ Merrill Hope reported in late June that ten pregnant women have tested positive for the virus in Dallas County. In April, an El Salvadorian pregnant woman, who now resides in Houston, tested positive for Zika, Breitbart Texas reported.